.Why we love Lanvin so much?. 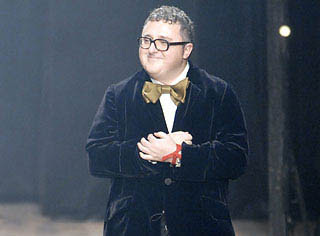 Even I don't enough money to have at least one of Alber Elbaz design fro Lanvin but I always keep lookin her latest design. He such a genius man in Fashion Industry. For this Spring 2009 collections I really adore his necklaces design, so classy and adoreable! I will post her design for this season.Btw, I've got all of this pictures from Galahad's blog and his picture credits from Style.com. This Shoes, Bags and Sunglasses are to die for! Santins all the way!I love the necklaces!